Chandigarh: The Federation of Sikh Organizations (UK) has welcomed the decision of British government to allow Sikhs to carry Kirpan without limitations of its size. 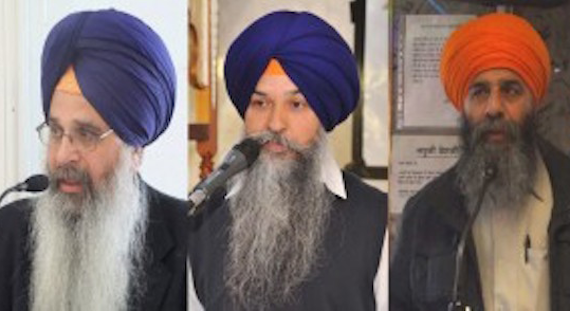 FSO leaders Bhai Kuldeep Singh Chaheru, Loveshinder Singh Dallewal and Joga Singh said in a written statement that the Kirpan has special significance for the Sikhs and it is good that the government has decided to remove Kirpan from list of offensive weapons. FSO leaders also extended thanks to British parliamentarians and Sikh organizations who had raised the issue with the government. In their statement UK Sikh leaders also welcomed Pakistan’s initiative on corridor to Gurdara Kartarpur Sahib. They said that the move has brough relief for the Sikh who pray for open visit to the Sikh Gurdwaras in Pakistan.